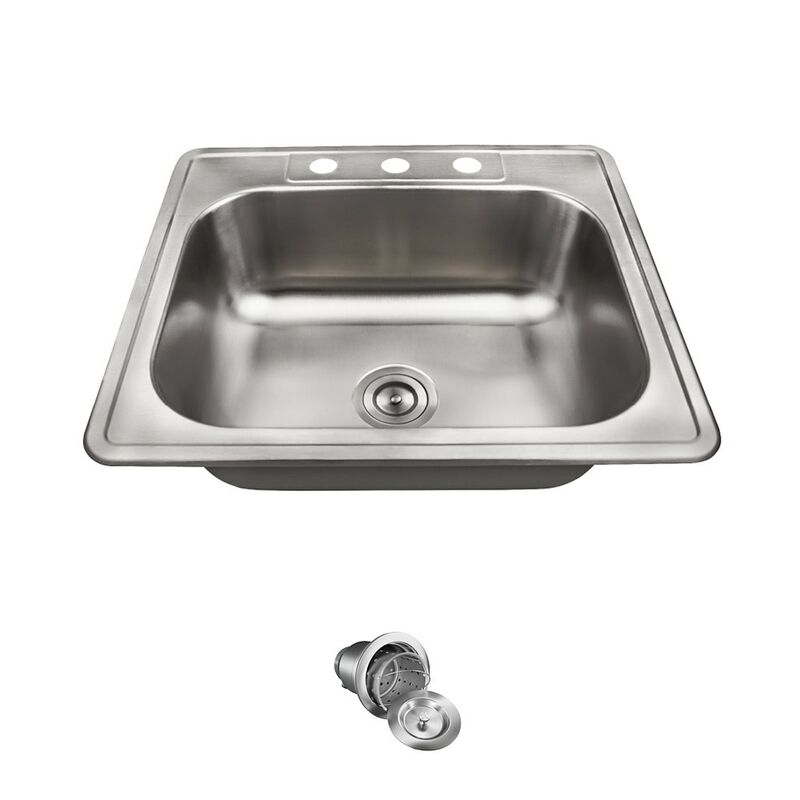 Not too big, not too small, the MR Direct US1038T ensemble is just the right size when a solid, U.S. made, topmount, single-bowl, stainless steel sink is required. The rectangular design, tight radius corners, and 8-inch depth of this model provide plenty of space to handle almost any chore. The drain is centerset in the durable, 20-gauge, 300-series stainless steel. Additionally, the US1038T ensemble comes with sound-dampening pads to reduce noise and a basket stainless steel strainer.